Looking for a program for this summer? Have a Tolkien scholar from one of the local colleges or universities come in to discuss the impact of Middle Earth on fantasy literature on modern fantasy novels. Read Lord of the Rings in a book club and have a fantastic time! 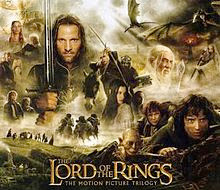 Check you library's movie licensing, you may have permission to show one or all three of the Lord of the Rings films. Depending on your library's hours you can show one or all three films. If you can only show one or two films you might think about having a fun intermission to give viewers a break. Have patrons vote for their favorite Lord of the Rings character then offer a door prize. Whatever you choose to do have fun with it!